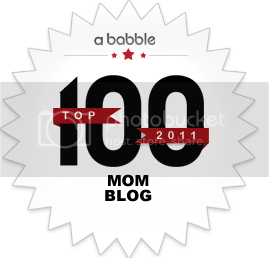 Santiago, my baby boy’s name, is number one on BabyCenter en Español’s list of 2011′s most popular names… again! 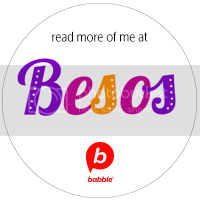 In fact, his name has been at the top of the list since BabyCenter en Español started compiling it back in 2007. To be honest, I didn’t chose my son’s name because of its popularity. In fact, I never really knew about it being the most popular until a couple of years ago. He was born in 2009, but we had already chosen his name back in 2006 when I was pregnant with my daughter and we had thought she’d be a boy! I feel kind of weird knowing that there are A LOT of children my son’s age, or close to it, bearing his same name, but I’ve loved the name for a very long, long time and from the moment I first met him, I couldn’t imagine another name for him. In terms of the rest of boys’ names on the list, there are many in the top 20 that belong to children I know. In fact, four of those are the names of boys in my immediate family: Matías (godson), Alejandro (nephew), Gabriel (nephew) and Emmanuel (nephew). How crazy is that? For girls, the top three names were Sofía, Isabella and Camila. Again, I have three nieces that bear those names. 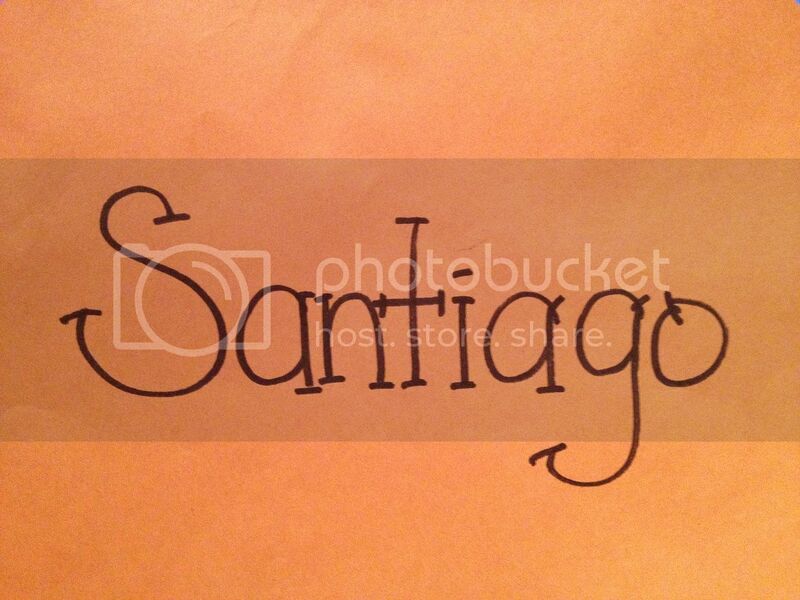 Not to mention that Camila is the name of Ana’s daughter. As many of you know, choosing a name for a bilingual and bicultural child is no easy task. Before having children, I always knew I wanted their names to be as Latino as possible, but that they wouldn’t be mangled when pronounced in English. I never really cared for names in English and because of their very Latino last name, I didn’t think those would go together either way. 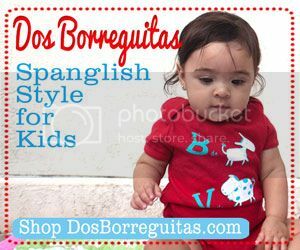 Many Latinos in this country deal with the same issue, as BabyCenter en Español found out, and they end up choosing bilingual names, which they describe as those that sound and are written similarly in both English and Spanish. Check out the most popular baby names Latinos in the U.S. chose for their children in 2011. Are the names of your kids in any of the lists? How did you choose your children’s names? Sofia is our #1 girl name (still hazy on a possible boy name…due in June). We’re a little discouraged to see it at the top of the 2011 list, but we love the name and want something latin but still American. All the names we like are on these list in the top 20 (boy and girl). Maybe we need to be more creative! I love that name too! And yes, I guess we need to get a bit more creative if we don’t want our kids’ names to be the most popular, but that’s really hard to do when you’re looking for bilingual names, no? I have always known I wanted to raise my children to speak Spanish (even though I’m technically still a student of the language myself) and I wanted them to have “bilingual” names, as you call them, so they would be pronounced the same when speaking Spanish or English. My daughter’s name is Isadora and we call her Isa. Of course Isadora is easy for English speakers but the shortened name – Isa (which is all we ever call her) – is harder, especially if they are just seeing it written. But Isa is the name I always wanted and when I found out Isabel was crazy popular now (thanks Twilight) I went with Isadora. For a boy we have Mateo ready to go with the apodo Teo. But if we have another girl so help me, I don’t know what we’ll name her. I really want Irene, my grandmother’s name (which I LOVE in Spanish but dislike in English). I know I’d have to change the spelling to get English speakers to say it right (or at least not say Irene) so I was thinking Erenae or something like that but my husband keeps vetoing it. Anyway, I have no idea what we’ll do if our second child is a girl. It’s going to take a lot of compromise to find a bilingual name we both like. Sabrina was not on the lists. Makes me happy ha ha. My husband picked it years ago. As it turns out it comes from Sara–both my mom and sisters name, so we were happy with our decision. Me encanta Sabrina! And so awesome that it’s not on the lists, jajaja!!! Funny how some of us have the names of our future children picked way before they’re born! Well we went with Guillermo and Maya for our first two. Our neighborhood is about 50% Latino but even the non-Spanish speakers seem to do okay with pronouncing Guillermo, or Memo when they learn of his nickname. (Actually we experience more issues with Maya which would seem the simpler name – as a testament to the BabyCenter list, everyone asks how “Mia” is doing – lol). For baby #3, due in June, we are considering many names that are on the list, and some others that aren’t. We are even looking at names from other ethnic backgrounds that are easily pronounced by Spanish and English speakers so they fit the bill for our family. I’m surprised non-Spanish speakers don’t have problems pronouncing Guillermo. I like that name a lot, although I like the English version William too. Good luck choosing a name for baby #3 and congrats! Camila es el #3!!! Demasiado popular, but she still gets called CamElia in English all the time! We went with Nicolas and we use Nico as a nickname… Very happy with it because it sounds good in both languages. Do you put an accent on the a? I know a couple of bilingual families who went with Nicolas too. Beautiful name! I always wanted a traditional name especially for a boy.My parents don’t speak English and I wanted something that can be easily said in English and Spanish like David. My husband and I both have names that begin with J and we (he) ended up choosing Jayden as our son’s name. My parents have a difficult time saying it so they call him by his middle name Anthony which they shortened to Tony. (Which both husband and son absolutely hate) Figures!! I too had Jacqueline on the list of names for my second child, but he ended up being a boy. That’s a cool tradition to stick with the J so everyone’s name starts with the same letter.